Troubled tech Toshiba takeover turnaround? 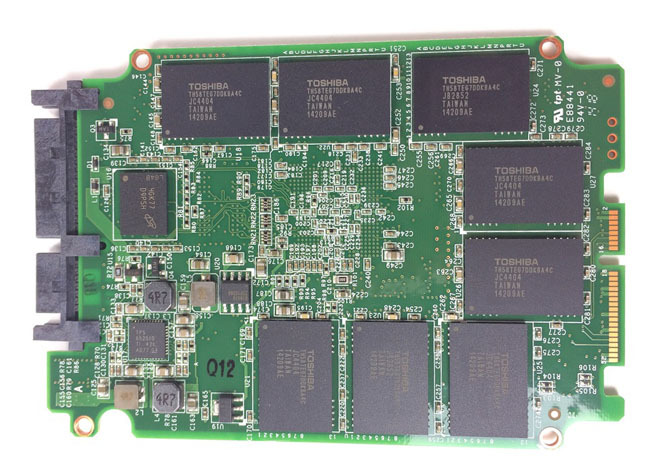 Review After Toshiba’s acquisition of the company, OCZ has in one fell swoop joined the elite band of SSD manufacturers who are in the extremely fortunate position of being able to source “in-house” all the internal chips that matter in a drive: namely, the NAND and the controller. What this means above all else is that it will be able have much more control and muscle in the market when it comes to pricing. This is especially so in the cut-throat value end of the market, which is where the latest ARC 100 drive range is aimed. The ARC 100 range consists of three capacities: 120GB (475MB/s read 395MB/s write), 240GB (480MB/s read 430MB/s write) and the flagship 480GB drive (490MB/s read 450MB/s write) and all come with a three-year warranty. 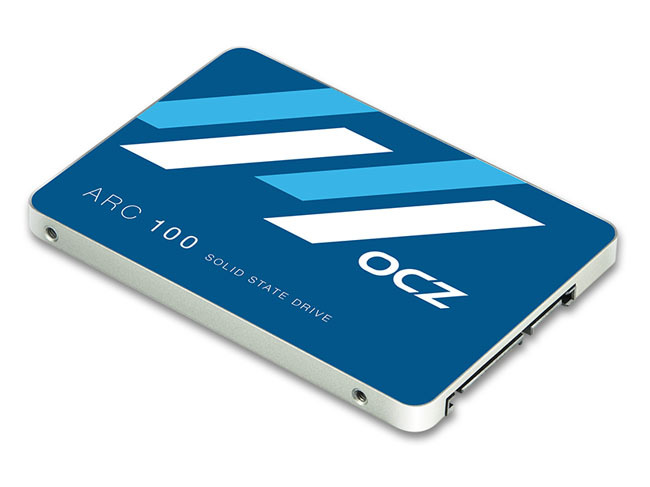 Internally, the ARC 100 uses OCZ’s own Barefoot 3 eight channel controller combined with Toshiba NAND. It features the M10 version of the Barefoot 3 controller, which is clocked at 352MHz, whereas the M00 version in the Vector 150 runs at 397MHz. The NAND is the latest A (for Advanced) version of Toshiba’s 19nm MLC Flash memory. The 240GB drive I’m looking at here uses 16 NAND packages, each of which is made of two 8GB capacity dies. So are the OCZ claims for read/write for the 240GB drive of 480MB/s and 430MB/s respectively, close to the mark? It would appear so. Testing with ATTO benchmark yielded scores of 495MB/s and 429MB/s for the read and writes respectively. The Barefoot controller isn’t bothered about whether or not the data is compressed, something that is well shown by the CrystalDiskMark benchmark. Using the default incompressible data test the drive gave Sequential Read/Write scores of 437.9MB/s and 434.1MB/s, respectively. Then switching over to the compressible data test yielded 428.2MB/s for Reads and 434.1MB/s for Writes. It’s the same story with the 4K data tests; 27.32MB/s and 94.25MB/s Read/Writes for incompressible data and 27.48MB/s Reads and 98.72MB/s Writes for when the data is compressed. Comparing it to the market leader in the value end of things, Crucial’s MX100, shows that the Crucial drive has better read performance than the ARC 100 but when it comes to writes, the OCZ drive shows its strength as it’s faster than the MX100 in both Sequential and Random tests.